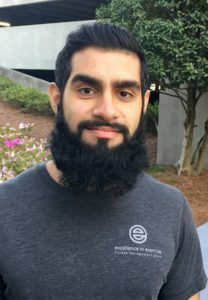 Jasdeep Singh holds a Bachelor of Science Degree from Emory University. Jasdeep is a Certified Personal Trainer with the American Council on Exercise (ACE) and has always enjoyed sports and athletics – playing tennis, soccer, baseball, football and participating in wrestling, Brazilian Jiu Jitsu and Muay Thai. Jasdeep’s diverse athletic background has helped him understand the mechanics and how to train for specific sports; while he focuses on building a strong foundation through balance, stability & mobility in his training.